MDM (Master Data Management) projects may have a bad name as large IT projects using huge amount of resources, taken a lot of time and ending up with producing very little measurable results. Don’t treat it as an IT project. It’s all about people and culture. Do it the agile way using IT. After having a lot of fun with option one you will sooner or later realize that the master data pain points still exists and then come to option two. I have earlier written some agile posts about Lean MDM and Eating the MDM Elephant and the relevance of having MDM technology that supports the agile way has in my eyes only become more and more apparent since then. What are your experiences? 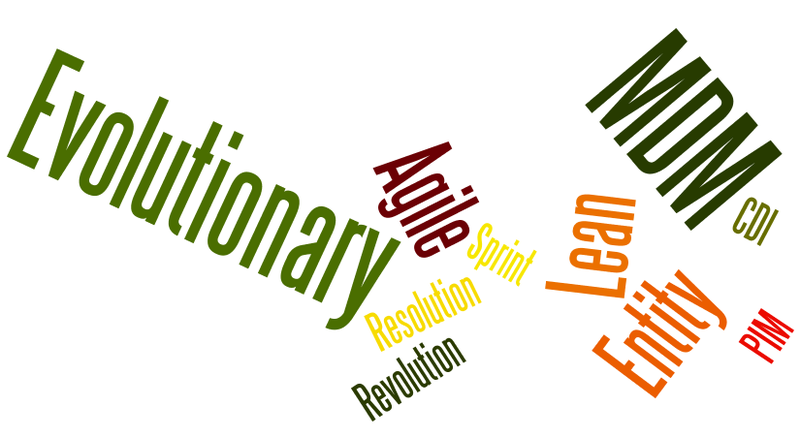 Who is doing agile MDM – using IT? Is it good? I’m using, promoting and seeing the success every day of Agile MDM !